This is usually in connivance with polling agents and the INEC ad-hoc staff, who must have been bought over, for the illegal permutations to be perfected. A scenario witnessed by some of our correspondents in Ikeja and Agege areas of Lagos during the 2015 election shows how the fraudulent system works. In a chat with a beneficiary of the fraud who corroborated what our correspondents witnessed, a female politician narrated how the operation of the illegal system was simplified to fit into a normal electoral process. “Once the PVCs had been collected, those behind the purchase will go a step further to organise people that would use the card and assemble them in one place on the eve of the election. “In most cases, we use people of northern extraction who we call ‘mola’, and they must be at a designated place before the day of voting so that they won’t be caught napping with the restriction of movement order, which is always in place. “They are the ones that will line up and do the voting on behalf of the real owners. The INEC staff, the police and the polling agents of political parties are all involved; they always look the other way, having greased their palm. “But it is only possible in places where you are popular and you have an edge, it is a bit difficult if the area that is not your stronghold”, she explained. Asked why the need to go through such harrowing and risky experience since the party in question is already popular in the area, she simply responded thus: “it is a way to shore up votes because what you have in one area can make up for your loss in other areas, when the total figures are collated. “As a party leader, if my party can pull all the votes in my area, numbering over half-a-million, it would be to my advantage, because it is possible that we may not have up to 10 per cent of that in the stronghold of our opponents. “It is the huge number we have here that we will use to augment the loss from other areas. It is like a game of football competition, if you are able to score many goals during the group stages, it will help you in the long run when determining who will qualify for the finals. “Let me give you an example; in the last election, we lost some areas including Oshodi because of the attitude of our brothers and sisters from the South East. You know how big and populated Oshodi is, but we were able to make up the overall figure from what we had here and our other strongholds”, she explained. Ahead of the elections, politicians in Bauchi have devised another method of winning elections which is through the purchase of PVCs In Bauchi, a source within the state INEC confirmed that the commission was under intense pressure from politicians to sell PVCs to them at any cost, but checks by our correspondent revealed that in the rural communities, the story is different. Rather than politicians seeking PVCs to buying, it is the electorate that are luring politicians to buy their PVCs, no matter how ridiculous the amount is. According to a respondent, “the reason most of these youths engage in the selling of PVCs is that they don’t believe in politicians, they don’t know who to trust because many have failed them. Poverty is the main factor for us selling our PCVS”. He said people are ready to sell their PVCs between N10, 000 and 20,000, depending on the location and who is buying. Some eligible voters in Anambra State have refused to put a price tag on their cards but noted that they are now making a brisk business from the buying of votes as most of those involved confirmed that they have thrown patriotism and conscience to the wind. Most of those interviewed by our reporter is of the opinion that it would turn better for them to collect money and vote for the highest bidder than to vote and their votes do not count. A chieftain of one of the major political parties, Hon John Egbue, contended that votes cast in Nigerian elections do not count. “I have been in this game for more than 40 years and had also keenly contested for LG chairmanship and had come to realise that what is done is a selection and not election. “It does not also not make sense for one to risk one’s life to vote for someone who after being declared winner of an election would turn his back on electorate only to come back to share bags of rice, salt, his or hers branded cloth to canvas for yet another vote. A sales girl, Miss Chioma Ndumadu, told our reporter that her vote is for the highest bidder. According to her, she had voted several times, but each time, the candidate elected would not be declared a winner. “What you will hear is that they have gone to court and at the end, the highest bidder will carry the day. It is better I collect the one I see than waiting for unfulfilled promises of politicians. In Niger State, a top traditional ruler, the Emir of Lapai, Alhaji Umar Mohammad Bago, confirmed that buying and selling of PVCs occur in his domain, saying that the selling and buying of the card are real. The monarch confirmed this in a message to the Stakeholders Consultative Forum organised for royal fathers in the state by INEC. The monarch who was represented by the Maiyakin Lapai, Alhaji Abubakar Sulaiman said politicians were using surrogates to purchase the PVCs at N10, 000. “The syndicate move from ward to ward in the emirate and they buy each PVC for as low as N10, 000 and in some cases N5000. In Umaru Majigi A Ward of Bida Local Government Area, an eligible voter who identified himself as Bologi Mohammed said: “When the APC visited us, they asked us to gather at our polling units. After some time they were requesting for our PVCs, saying it is only those with PVCs that will get the money, it is N10, 000 for men and N5, 000 for women. “We waited but we started asking who is in charge of paying the money because they wanted to collect our cards first but we said no, we needed to be sure whether it is real. “When the gate was opened, our people refused to submit their PVCs unless we are given the money”. In Kano, Saturday Telegraph’s checks revealed that politicians go into areas where the residents are of low-level awareness to buy PVCs at N10, 000 and sometimes above. It was also gathered that even some of the newly registered parties who have no structures in most places as required by INEC are involved in the purchase of the PVCs and further sell to bigger parties. Politicians that engage in the purchase of the PVCs were buying at N10, 000 from the voters only to resell but the resident have quickly increased the money to N20, 000, having realised that politicians are in need of it. The major parties are said to have identified hundreds of hamlets were they stormed to purchases the materials. A villager in one of the remote areas said; “it is true people from the city come to purchases the PVCs although many people, despite their low-level awareness refuse to sell. “In fact, one of the politicians that comes to purchases the PVCs was shown hell because he received the beatings of his life, and since then, we have not witnessed any other person coming to buy the PVCs “. In Bayelsa State, the 2019 campaign is different, as candidates of the major parties have decided not to spend money on campaigns believing that there will still be buying of votes as it was done in 2015. In 2015 elections in the Bayelsa State, the highest bidders had the votes between the political parties. A journalist, John Odeh, who spoke with Saturday Telegraph said: “When you say they planned it, it is just stating the obvious because it is something we have seen. Nigerians have witnessed it and it has been happening. “The most recent elections, which were held at Ekiti and Osun states, they didn’t pretend about it, they bought votes. A resident, Francis Dufugha, said: “Vote buying, inasmuch as I know, is unlawful but whether we like it or not, people will still sell their votes because the poverty level is so high, to the extent that they have known the antics of the politicians. “And they believe that whether the politicians give them money or not, they will not still deliver the dividend of democracy to them. Even if it is now they want to start the sensitisation of selling or not selling their votes, it might not stop vote buying because Nigerians are so wise. They will be devising different means to buy the vote”, he said. Another respondent, Tony Amgbare, said: “if they are ready to pay for the votes, I am willing to take the money and sell. “For me, I’m looking for money. I will go to my village because the money will come out. Even if it is N10, 000 or N15, 000, I will collect because whether I collect or not, they are the same people.” Another voter, Shade Bankole, a trader, who admitted having her PVC said: “If they sell the vote, I will collect money. What brought me to Yenagoa”? Another trader, Joy Emmanuel, who plies his trade in Swali Market said; “If I have the opportunity of selling my votes, I will sell it to the highest bidder because it might be the only thing I will benefit from this government. “It is not a question of voting my conscience. Right now, nobody has a conscience in this country. There is no moral in politics. My vote goes to the highest bidder. I will wait patiently until I see the person that will give me what I will be satisfied with. “If it is 20,000 or 50,000 it depends on what is happening in the polling unit where I am going to vote. I will sell my vote and collect my money. A visibly angry respondent Ebi Ozegbe told Saturday Telegraph that vote-buying had become a common occurrence and nothing new in the state. Ozegbe said: ”Government has refused to make things easy for the people. The government has deliberately impoverished the people. People are in penury. They are in pains. People can’t take two square meals a day. “Vote-buying is a normal thing every governor must send money to different wards to enable some people to go and vote. Vote-buying is a normal thing that should be done. “Government must take care of the people. When there are good programmes in place, vote buying won’t even come in but deliberately they have succeeded in making things so difficult for the masses. If I see N100, 000, I will collect. The government should make things right to abolish vote buying”. In Rivers State, some voters interviewed said that payment ranges from N1, 000 to N5000 and that voters are mobilised long before the election. 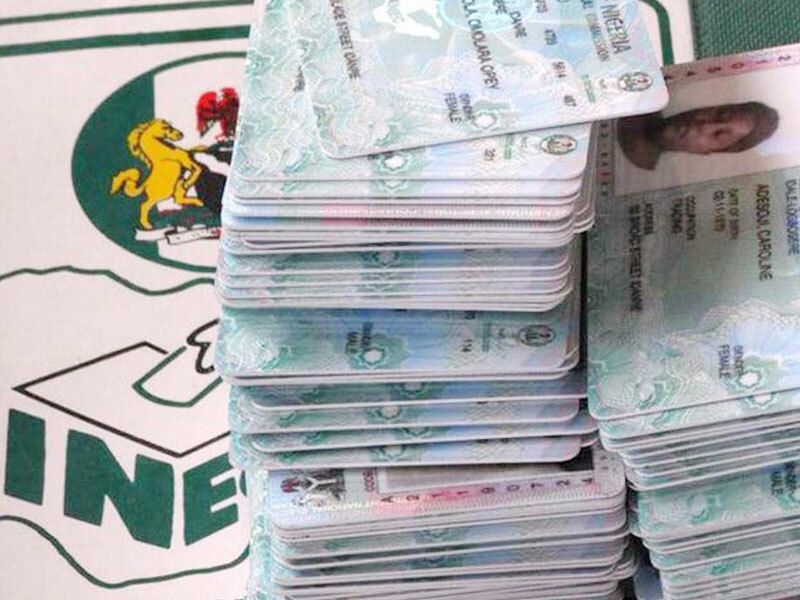 “If this is not done early enough, a voter might end up voting for another party,” said a trader, who disclosed that his younger brother had been handing out cash to people with PVCs in the Waterlines area of Port Harcourt. The main targets in the state are non-indigenes, who are approached through their leaders. Almost the entire country’s tribes have groups that are invited to political rallies and meetings where they were promised appointments. ”The most organised group in the state is the ‘Non- Indigenes Without Borders.” According to one Musa Maina, who brings in foodstuffs into Rivers from the North, some politicians had approached them for votes. “Some have negotiated N2000 with some of our leaders, but we want it to be N5000 for each voter. I will only vote for the party that gives me more cash. I don’t really care what our leaders say,” he said. Another voter, who said that he got his PVC on the last day before the extension of INEC’s deadline, noted that he initially didn’t want to do anything with his PVC, but he changed his mind when a friend told him that he could get some cash during elections. “Yes, I attended a political meeting where they shared N2, 000 to those present. I am praying that I get N5, 000 for my vote during the election. But I have not been approached by any politician yet,” he said. The Peoples Democratic Party (PDP) has however dissociated itself from the act, saying it has nothing to do with vote-buying, while noting that it is working hard to sell its presidential candidate, Alhaji Atiku Abubakar, to Nigerians. The spokesperson for the presidential campaign organisation, Kassim Afegbua, alleged that vote-buying is associated with APC. “We are still running adverts. We cannot be sold to this APC strategy of vote-buying because our candidate is very popular and largely accepted across the geopolitical zones of the country. ”We are running jingles, we are campaigning, we are mobilising the voters, we are telling the electorate how to monitor their votes to ensure that the votes truly count. “We cannot be dragged into such criminal engagement of votes-buying. The APC has been buying votes using 'trade money' all over the country because of their morbid fear for defeat,” Afegbua stated.